With a deadline for dinner drawing them on, Peter Foot recounts a beguiling journey through a surprising landscape. Mouldy carpet and body spray. I pull open the door and it hits me—full-bodied, tangy, evocative. It is the smell of the end carriage of a V/Line train. The smell of a thousand trips into the countryside. The smell of a cycling adventure. A few pairs of eyes wander over to us. Somebody rustles a chip packet. A child squirms in his seat and whines about something. “Let’s go back to carriage C,” I say to Kimbo, before doubling back from the toxic pong. We find a seat in carriage C which is cleaner, quieter and, importantly, doesn’t smell of mouldy carpet. We are on our way to Colac in South West Victoria, from where we will cycle the Old Beechy Rail Trail to Beech Forest, a hamlet among the tall gums and rainforests of the Otway Ranges. It’s not usually my style, but today we are running to a schedule. Due to late-night work commitments, we have taken the afternoon train, which will deposit us in Colac at 3:40. This gives us roughly four hours to get to Beech Forest, where the Beechy Hotel kitchen closes at 8. Don’t count your parmas before they’ve hatched. It’s 3:45 and we’re off, spinning out of Colac. The trail follows some local back roads through green farm country. A number of steep undulations get the heart rate up and the sweat flowing, and soon we’re on a rise with views back towards town and behind it the glittering expanse of Lake Colac. The afternoon sun is warm against our skin, the air languid and drowsy. Then the road flattens out and plunges into the bush-cool calm and inviting. The sweat dries, the heart settles and we fall into a rhythm. We soon reach the place where the trail joins the actual train line. It’s ridiculously charming. The track slopes gently downwards for five kilometres through gorgeous eucalypt forest. It’s just steep enough to be fun, to give us a bit of go, but not so steep that we have to really concentrate. We cut through hillsides, riding between walls of dirt, then emerge onto raised ballast, so that we’re cycling five metres above the forest floor. There are some sweeping bends, pleasing and easy, and the sun angles through the trees, casting a dappled pattern of light and shade onto the track like a raggedy barcode. A currawong call clatters through the bush, and a soft pitter-patter comes from our tyres as they run over leaf litter. We come out at a picnic spot where we stop to eat a muesli bar and make idiotic jokes and stand there chewing and burping and staring into space like cows. We’re making good time, on track for a parma at the Beechy Hotel. The Beechy line, as it was known, began operating in 1902 and was the first mode of reliable transport into the region. It was a major agent of development, allowing people to settle along the line and harvest the tall timber in the hills. By the middle of the century, however, road transport had developed to a point that made the Old Beechy obsolete and the last train ran in 1962. The line has since been re-appropriated for recreational purposes. With funding from the Victorian government and negotiations with private landholders to allow access, the Old Beechy Rail Trail was officially opened by Premier Bracks in 2005. The route follows the original train line for most of its 48 kilometres. Back on the trail, a short, steep pitch gets the heart rate up again, and at the top we find an echidna burying its face into the soil by the side of the track. Then the trail surprises me with a quasi-technical descent, fast, flowy and fun. Here you will find some wider tyres and a modicum of bike control to be handy. By 5:30 we’ve reached the town of Gellibrand. We’ve got twenty kilometres to go, and two-and-a-half hours to do it in. The climbing begins and the trail wends its way into the kind of forest the Otways are famous for: tree ferns, dense undergrowth, tall eucalypts with brown bark hanging off the cream-coloured trunks in long strands. The foliage presses in on the track and the air gets moist, fresh and woody. It’s a whole new kind of charming – lush, close and quiet. The trail begins to switch back and forth in an unceasing incline, and we settle in and grind away. The sun gets low, slanting through the trees, and the air develops some chill and some bite. We grind and grind, pressing deeper into the hills, into the forest, getting higher and higher as we go. This is longer than I thought. I need some food. We stop at a place with a wooden bench and a sweeping view back towards Colac. We savour the vista and another muesli bar, and Kimbo reaches for philosophy. “The place where you eat your food makes all the difference,” he says. I agree with him. But I also notice that the light has taken on a duskish quality, and it’s getting cold. Kimbo checks his phone and it’s 7:30. We don’t know exactly how far to go, and there’s no way I’m missing out on a parma. I jump back in the saddle and sprint off down the track. I come out of the forest and back into farm country. This is a good sign, it can’t be far away. But then the trail re-enters the forest and begins to squirm and buck like a cut snake. A farm gate, some thick mud, a scramble up a gravelly slope, heaving the bike, shoes slipping, heart pounding, chest burning, mouth hanging open like the entrance to a hangar. Parma. Parma. Parma. Then an equally steep descent, skidding and skittish, I’m hanging off the back of the bike, telling myself to stay in control, just stay in control, before a couple of tight, twisting turns through a grove of fern trees, dark and damp, fronds reaching out and brushing my shoulders. This is ridiculous. This is the last thing I expected. This is very un-rail-trail like. But it’s damn fun and I laugh into the ferns. And then, finally, still gasping, still pumping at the pedals, the trail flattens out, and I pass a small paddock packed with cows that turn their heads and stare at me in that vacant way that cows do, and there’s the main road, and there’s the pub, and it’s 7:50pm. I go in and order two parmas. More info and trail updates and closures. 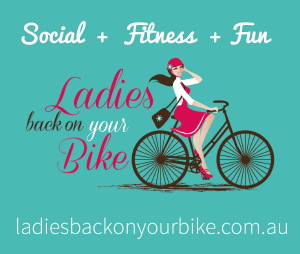 This entry was posted in Blog, Latest, Rides, Trending, where, Where to ride and tagged bike holiday, cycle touring, Otways, weekend getaway. Bookmark the permalink. Loved this article! The style was perfect- casual yet informative, some beautiful images and very funny! I almost feel that I know you, Peter Foot! Some more articles by you, please! Victoria, parma, scenery and the virtuous exercise that means you can eat anything you like.Sounds like great fun. I’m going to head south in the next few months and check out the route. Take care about the winter months. The otways are the wettest place in our state with the rain measured in metres not millimetres. The reason for the railway in the first place was that the roads could not cope with the drenching rain in between the drizzle and the mist. I can remember camping out from Barongarook and having to hold an umbrella over the gas stove to keep it dry enough to have dinner. We were satched of course. The very best time might have been april. But if you go in winter top class wet weather gear is not optional. What a lovely ride. And so well written, almost feels like I was there! Nice story! I’ve ridden some of the main roads through the Otways but not the rail trail. Must do. Andrew is right, the Otways can be very wet. And muddy. Check the weather forecast and have wet weather clothing and an alternate plan. Gellibrand River has a general store with coffee and snacks, and a pub.